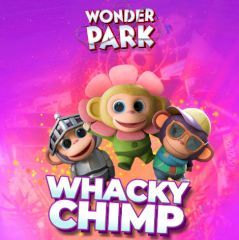 Have you ever wanted to whack chimps? This is the game you need. Just hang the hammer and wait for a chimp to appear. Watch the table with holes and click on characters or flowers that appear on the screen. Smash them with your hammer and get points, but watch timer also. You need to get more points before time runs out!